When the Riveras are separated, with Paul serving in dangerous combat zones, they rely on their faith. "I'd wake up and just go in my closet and pray for 15 minutes, and that was one thing I did every day," Lily said. "I just felt like I needed that pick up." "CBS This Morning" continues to follow the lives of our nation's bravest as they return from war. We were there earlier this year when a group of Marines came home to North Carolina from Afghanistan's Helmand Province. It's been six months since that emotional reunion. Now as part of our series, "Coming Home," we focus on the families of two Marines, Major Ethan Krumnow and Major Paul Rivera. 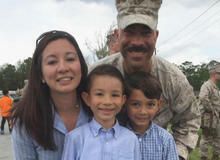 You hear this phrase all the time when we're honoring our nation's heroes: "Families serve, too." But what does that really mean for a family to serve? How do they cope when this huge hole opens up in their home, and then when their loved one comes home and so much has changed – especially for those with young children? When Majors Krumnow and Rivera first saw their families, you could feel the relief. 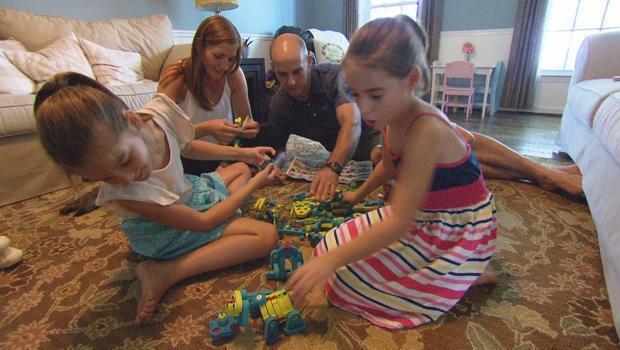 But after nine long months in Afghanistan, Krumnow and his wife, Christina, faced some surprises.